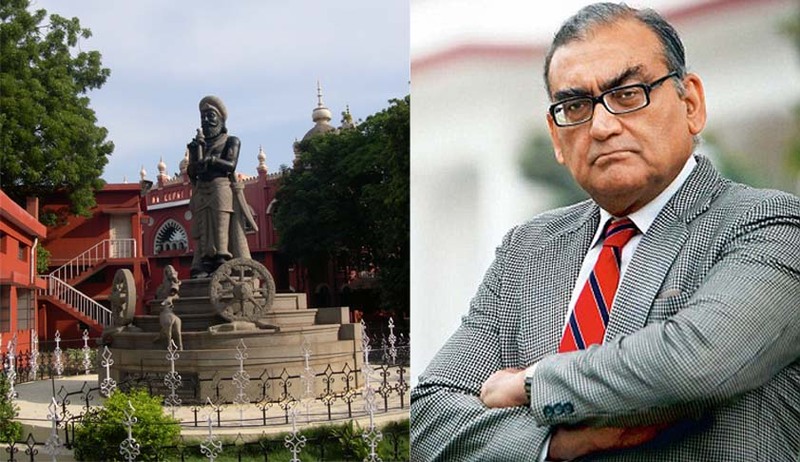 Former Supreme Court Judge and present Chairman of Press Council of India, Mr. Markandey Katju stirred a storm yesterday, when he posted shocking revelations on Facebook, regarding the conduct of three former Chief Justices of India, CJIs Justice Lahoti, Justice Sabharwal and Justice K.G. Balakrishnan in granting extension and confirming a corrupt judge. The post has frenzied a debate and brought to fore, the discussion regarding the corruption that exists within the judiciary, as well as the collegium system which was described by Justice Ruma Pal, as "one of the best kept secrets in the country." Read the Facebook post here. Justice S. Ashok Kumar, was first sworn in as additional judge, along with seven other district judges, on April 3, 2003. Owing to a delay on the part of the SC, the tenure of all the eight was extended at the end of two years. Later, others were made permanent judges, but Justice Kumar was made to continue as additional judge for four months. Finally, he was made permanent in 2008 and transferred to Andhra. He retired on July 17, 2009 and passed away in October 2009. The allegations were debated in a 6 year old case. Six years ago, the Supreme Court was derisive in its condemnation of former Chief Justice R.C. Lahoti for yielding to the judiciary's primacy and "swaying to the UPA government's view" in 2005 to grant extension of service to a Madras high court judge, referred as "corrupt" by Katju. As described by Justice Pasayat who authored the judgment, Judges, like Caesar’s wife, should be above suspicion was the focal point in this petition filed by senior advocate, Mr. Shanti Bhushan and advocate Kamini Jaiswal. It was alleged that required norms, as laid down in the cases of Supreme Court Advocates-on-record Association & Ors. v. Union of India and Special Reference No.1 of 1998 weren’t followed. The apex court had no hesitation in saying that a person who is not suitable to be appointed as a permanent Judge on the ground of unsuitability due to adverse factors….which are so paramount and sacrosanct for the functioning as a Judge, should not be continued as an Additional Judge. Even when an additional Judge is appointed as a permanent Judge, he does not become immune from action, if circumstances so warrant. Whenever materials are brought to the notice of the Chief Justice of India about lack of mental and physical capacity, character and integrity, it is for him to adopt such modalities which according to him would be relevant for taking a decision in the matter. The Bench did agree that while making the recommendations for appointment of an Additional Judge as a permanent Judge, Chief Justice of the High Court is not required to consult the collegium of the High Court. Additionally, there is no requirement of enquiry by the Intelligence Bureau. The same contention has now been agreed upon by former law minister H.R. Bhardwaj. Bhardwaj admitted that a District Judge, who was appointed as additional judge of Madras high court in 2003 and was later confirmed despite adverse intelligence reports, had significant political backing. However, Bhardwaj, who was law minister when the controversial judge was given extensions and later made permanent, denied Justice Markandey Katju's claim that the judge got a seat on the bench because UPA government succumbed to the pressure from an important ally. As Bhardwaj revealed that besides the UPA partner, a group of scheduled caste/scheduled tribe MPs also lobbied the government for the controversial judge, he stated, "There is no control over judiciary ... Records will bear out that judiciary is fully insulated,". As elaborated upon in the judgment, eight Additional Judges were appointed in April, 2003. In July, 2005, seven of the eight Additional Judges (except respondent No.2) were appointed as permanent Judges and the term of respondent No.2 was extended by one year at first, and then again for a period of six months. Such extensions for short periods obviously, according to the petitioners, were intended to continue him as a Judge notwithstanding his unsuitability to be appointed as a permanent Judge. The grievance of the petitioners was that collegium was not consulted. The issue has also rocked both Houses of the Parliament. Raising the issue during zero hour, AIADMK leader M Thambidurai demanded a probe into the allegations. "It is a serious matter ... the previous government and the DMK interfered in the appointment of a corrupt judge." Bahujan Samaj Party supremo Mayawati termed the charges as serious and demanded a probe into them. When asked about why he waited for 10 years to voice the allegations, Katju insisted on NDTV that the "question is not why I did not make this disclosure earlier, the question is whether what I'm saying is correct or not." When the interviewer pressed for an explanation about his timing, he pulled out his earpiece and ended the interview. However, as Justice Misra, who is currently chairman of Goa Human Rights Commission rightly puts it, "The important question to be answered by the three eminent chief justices is as to why they had succumbed to such political influence? Did they not fail to discharge their responsibility as trustees?"